Smart trybe Airtel tariff plan provides lots of benefits for everyone from unlimited night plan downloads and also free night calls from 11pm to 6am. Talk for free during night time and be happy. The free night calls is quite very useful when you want to talk for longer time with your loved ones. I make use of the airtel night calls to make long conversations with friends and business partners. How To Activate Your Airtel Sim For 4.2GB@N200 And 23GB@N1000 – Airtel Nigeria is currently giving its users 100% data bonus valid for 3 months. But there is a catch to it, this mind blowing offer are only for users who are eligible and it appears almost all but not all Airtel subscribers are eligible for this awesome package. Use N48 daily for calls or the 1st 2 mins calls of the day and automatically qualify for the night calls from 11pm – 6am. NOTE: The free night calls is valid for just one day, if you want to still make free night calls the next day, you need to use N48 on calls to qualify. How do I get campus low rate? Dial *312*1# to enjoy campus low rate to all Nigerian networks whenever you are in the premises of a Nigerian higher institution. 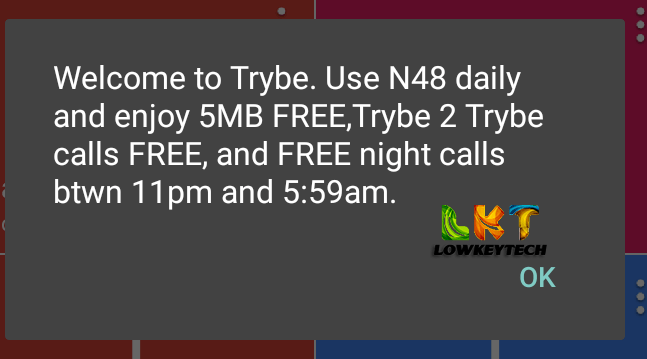 TIPS: I recommend the Airtel Smart trybe to anyone who loves to make long calls and conversation either to loved ones, business partners, lovers also. Have fun guys. Can i be able to call all network during free midnight calls?